The initial appointment, starting September 16, 2018, is for a 3-year term, with the possibility of renewal. This position requires teaching language courses as well as lower- andupper-division high-enrollment courses in English on medieval and/or modern Scandinavia. 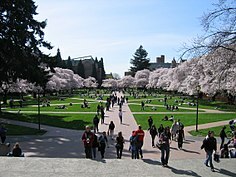 University of Washington faculty engage in teaching, research, and service. The lecturer is expected to prepare course material, evaluate student work, assign grades by established deadlines, hold office hours, advise students, and interact with students outside of class both in person and on line. Applicants who will contribute to the diversity mission of the Department of Scandinavian Studies are especially encouraged to apply. Priority will be given to applications received before 15 November 2017.